While courses like engineering, medicine, commerce, law, hospitality management have been most sought-after programs after Class 12, undergraduate management programs like BBA also present lucrative career options in the world of business and corporate management. 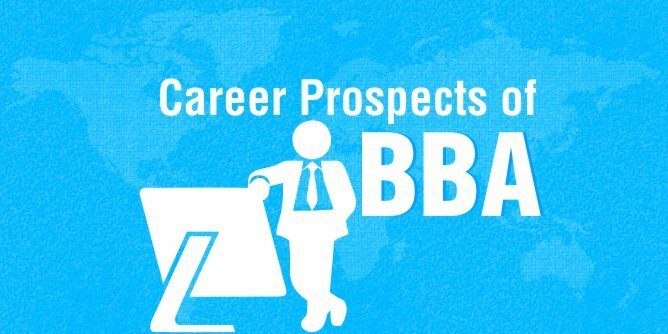 In this post, we will look at the career scopes of BBA after 12th, BBA in India vs BBA Abroad, and SP Jain Global BBA program. Additionally, we will also have a tête-à-tête the Undergraduate Recruitment Team of SP Jain School of Global Management. BBA is a professional course, and it is offered at few universities and of these, only a handful of colleges/institutes offer a quality course. Choosing the right institute is key to landing up in a good job. The main idea of BBA is to equip a student who can work in the industry and carry out all the managerial operations of the organization. Moreover, a BBA graduate will work in order to maximize the team efficiency of the system by applying the knowledge of commerce that he or she has taken during the study years of BBA. According to a 2014 study performed by USA Today, bachelor’s degrees in Business Administration and Management (BBA) rank as the most popular among American undergraduate students. Another study in 2016, performed by the National Association of Colleges and Employers revealed that college graduates with broad majors are likely to earn more than those with specialized ones at the undergraduate level. The report further stated that the average salary for business degree recipients gaining jobs just after graduation totaled $52,236, higher than their calculated average of $50,556 across ten general fields. BBA curriculums are designed after consultation with representatives from leading organizations, ensuring the students graduate with an industry-relevant degree. A good BBA program involves practical experience, internships, international exposure, seminars by leading corporate personnel etc. Students are also encouraged to attend leadership training workshops and conferences; including, but not limited to, public speaking, group dynamics, and problem-solving, and evaluating techniques. These skills not only help you to get a good job but also help you in getting selected at a top business school for MBA. BBA offers a comprehensive understanding of business environment and management functions. It also helps a student to learn leadership qualities and develops their problem-solving abilities which are much required in today’s competitive and global business environment. More importantly, it develops a management focused approach from the very beginning. Read why BBA is a great choice at the UG level. BBA graduates can seek out for employment in share trading, business corporations, industries, print media, IT industry, and public sector and so on. The main advantage of the BBA program is that aspirants can pursue the MBA program after completing the same. They can specialize in their desired disciplines while pursuing the MBA program. The different specializations in the MBA program include Systems, Finance, Human Resource, Marketing and so on. If you are very sure that your personality, aptitude & signature strengths match to the management study only, your goal is to get into the management career, then BBA would be the best choice for you. Well, I won’t spend too much on this issue. I would suggest all the readers have a look at Undergraduate Studies in India vs Abroad (US, Canada, Singapore & Hong Kong). However, I would like to mention one point that the majority of the BBA programs in India are 3-year programs. Most of the top foreign universities (especially in the US & Canada) ask for a 4-year Bachelor degree. So, if you wish to go for Masters Programs (MS or MBA) at the top business schools, a 4-year BBA program will be more suitable for you. Now, let’s jump into our second focus of this post – BBA program at SP Jain School of Global Management. 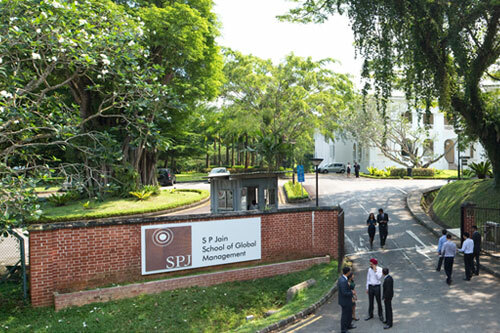 SP Jain School of Global Management (not to be confused with S. P. Jain Institute of Management and Research) is a leading Australian business school with campuses in Sydney, Dubai, Singapore & Mumbai. In the past few years, the institute has been featured among the top international business schools. SP Jain’s flagship Global MBA program has been ranked in the top 20 in the Forbes list of the world’s best 1-year international MBAs for five consecutive years. SP Jain’s MBA program also made it to Top 100 MBA List of Financial Times (2011 & 2012) and The Economist (2015). It also has the distinction of being ranked by Nielsen Research as the number one institution of higher learning. According to Forbes, cultural intelligence & connect is the core mantra at SP Jain. While we know a lot about the MBA program at SP Jain through other forums and media, we reached out to the institute to learn more about their undergraduate programs, especially the BBA program. Team Stoodnt interviewed the official representatives of the undergraduate program at SP Jain to know more about the course, job opportunities, financial aid/scholarships, and life as an international student. 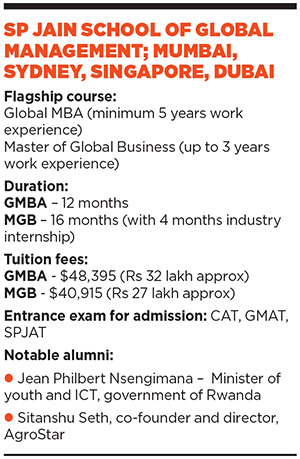 How would describe the BBA program at SP Jain School of Global Management? SP Jain’s Bachelor of Business Administration (BBA) course is designed to craft graduates with well-developed business insights, critical thinking, and decision-making skills. The course is made up of general business, specialist business, and liberal arts subjects. In addition to intensive academic learning, the course focusses on the development of key world-business attributes like global intelligence and personal effectiveness, giving students the confidence, knowledge, and expertise required to function in a global setting. 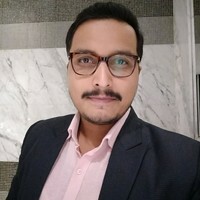 What’s so unique about SP Jain and its BBA Program? 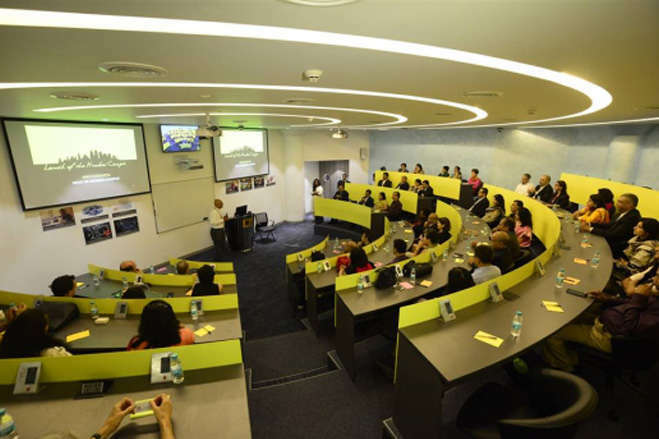 SP Jain School of Global Management is a global business school with campuses in Dubai, Mumbai, Singapore, and Sydney. In the last seven years of its short fourteen-year history, SP Jain has been ranked by three of the world’s top four business school rankings – Forbes, Financial Times and The Economist. In each of these rankings, it is the youngest school featured – an accomplishment attributed to its unique and innovative model of business education. The SP Jain undergraduate curriculum believes in preparing all-rounded graduates equipped to take on the competitive world of international business. The undergraduate courses open you to the various opportunities – encouraging you to be part of a global ecosystem that inspires you to contribute, lead and succeed. Additionally, the tri-city design is an excellent opportunity for any student from any nationality. 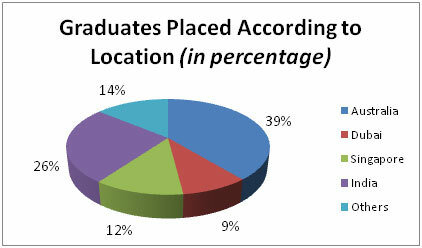 In all the three countries, students embed themselves within the campus environments, local communities, and networks. In addition to living and studying in some of the world’s top economic centers, students participate in special global learning classes where business frameworks are studied and tested. 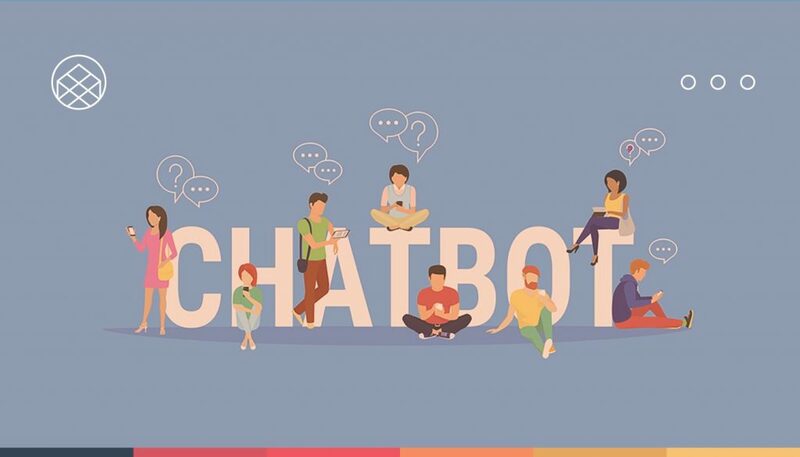 They interact with local companies and conduct real-time application-based projects that help them really understand the interconnected nature of the business, the influence and impact of culture on consumer preferences and business decisions, global collaboration and best practices, and the risks of stepping out of one’s home country. In 2017, students from 30 different countries found their way to SP Jain’s undergraduate programs – from Australia, Spain, India, and Russia to Vietnam, Oman, and the United States. Visualise the contribution this diversity makes to the learning process, the impact it has on your development as a sensitive, empathetic manager. Additionally, it would be great for the BBA students to interact with the pros – International Faculty Members and senior professionals – Global MBA, and MGB students as well. When was the program launched, and what was the rationale behind its tri-city design? This program was launched in 2010 & so far 5 batches have successfully graduated. This is a Global BBA program so giving global exposure is the main rationale behind its tri-city design, where students learn world’s best business practices & culture through being in top 3 cities of the world i.e. Singapore, Dubai & Sydney with Business Management as essence at every stage. What are the admissions requirements? What does the application process involve? To be eligible for admission, a student should pass 12th std with a minimum of 70% marks. 12th std students can also apply for the program. 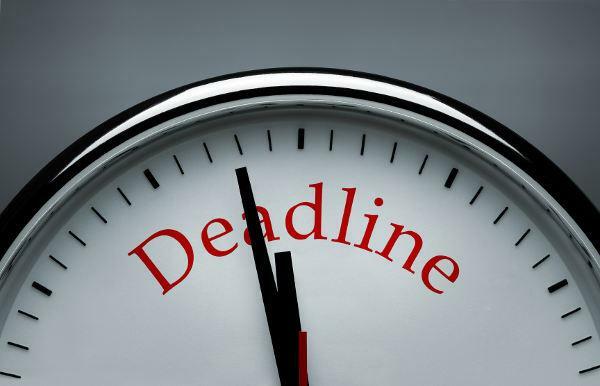 The application process involves filling the online application form followed by Aptitude Test & Interview respectively. What does the total (or annual) tuition cost? The annual tuition costs are approximately USD $25,000 per year. Here is the fee structure of our BBA program. Are scholarships available for Indian (and international) students? Yes, Merit-based scholarships are available for Indian and as well as international students. 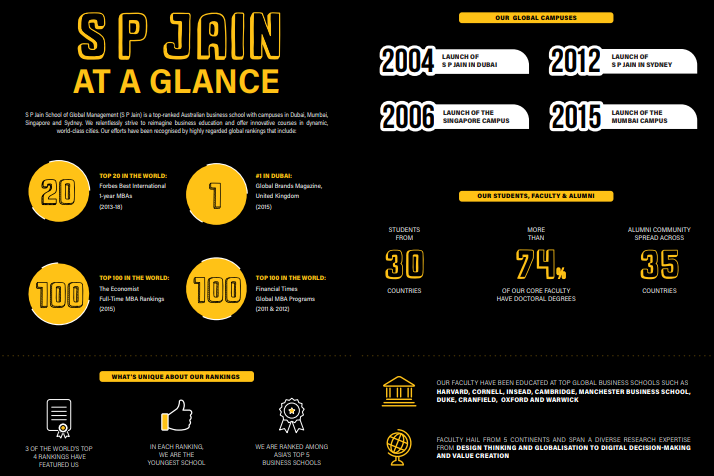 Which are the top recruiting companies for the BBA graduates at SP Jain? There are many on the list but some top one & well know companies list attached herewith. How many students find work in the host countries & other countries? Could you please share any Stats on starting salaries? On an average, more than 40% student start their career in host country upon successful completion of the program. Average salary per annum is 50K AUD upon completion of the program. What are the other Undergraduate Programs at SP Jain? Want more info on S. P. Jain? Click here to fill your contact details!